Energy distribution and energy transmission have been PFISTERER core competences for almost 100 years. As experts for interfaces in energy networks, we supply connection components and turnkey cable systems for all voltage levels as a complete system. 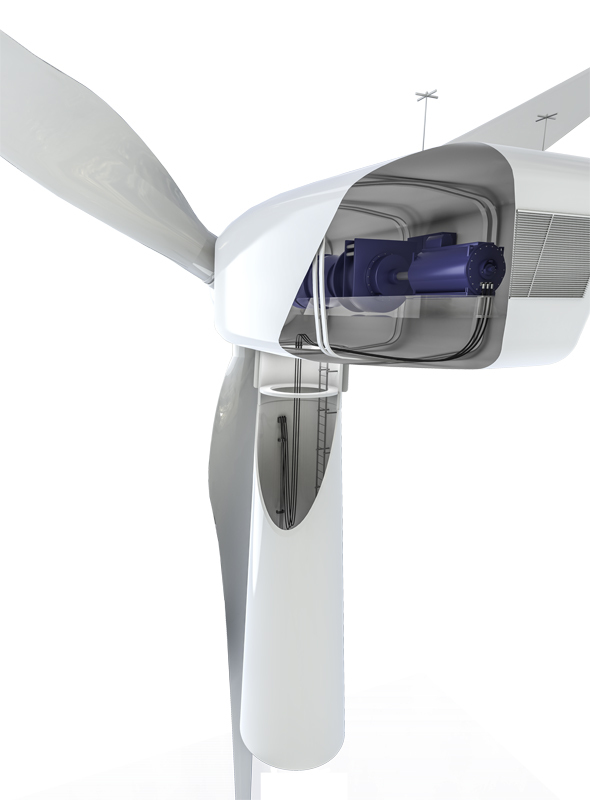 Our PLUG and CONNEX pluggable systems as well as our SICON connector connect all system parts of the wind farm reliably and quickly. All system components are made specifically for maritim operation: weather-resistant, salt-water resistant and designed for offshore environment. Constructing cable systems on offshore substations requires the ultimate discipline of cable-laying. Highly complex cable routes must be installed in a confined space around many corners and on several levels. Considerable time pressure and the construction of other subsections at the same time further complicate the task. Successfully overcoming this challenge requires meticulous planning and specialists with solid experience in the industry. PFISTERER has been there from the very beginning. We have closely accompanied the process from the idea of a power station on the high seas to the construction of the first offshore wind farm. PFISTERER has set industry standards, our project management and our products are state-of-the-art today. With CONNEX offers PFISTERER a dry pluggable connection system, that meets all offshore requirements. The interface to the wind farm network, the cable connection between the static tower and moving nacelle, and the connection to the generator - these are the challenges involved in every single wind turbine in the wind farm. PFISTERER has the right solution for all challenges. SICON screw connectors can connect all different kinds of cable easily, without using special tools. 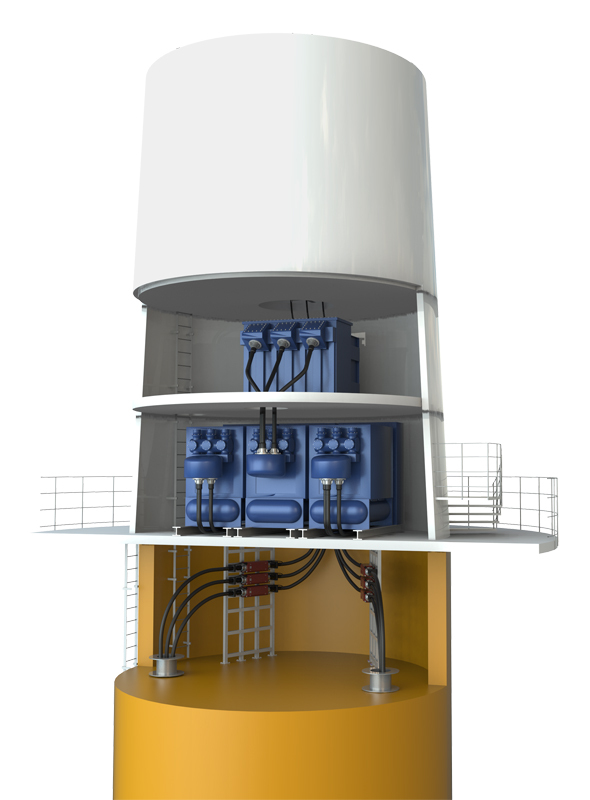 The pluggable PLUG system connects the generator, individual tower segments, converter and transformer into a complete electrical system. And the CONNEX system is used for the connection to the inter-array cabling. The dry pluggable CONNEX connection system connects the transformer, MV and HV GIS without timeconsuming SF6 gas work. CONNEX connection joints in cast resin technology up to 170 kV enable pluggable connections that can be separated quickly if necessary. The longitudinal water barrier prevents water penetration as a result of cable faults.The solid-insulated CONNEX connections aremaintenance-free and the only ones on the market with DNV-GL certification. The PLUG system's high-quality materials and sophisticated technology guarantee reliable contact during the entire service life of the system. The low profile PLUG connectors are quick and safe to install and maintenance-free. The connection can be quickly and easily unplugged whenever necessary. More than 4,100 PLUG connections are installed on the Global Tech I. With the patented SICON screw connectors, ultra-flexible copper and cost-effective aluminium conductors can easily be connected to one another. State-of-the-art protection – Everything you need from a single source.